I like Oreos. And I like trying different kinds of Oreo flavors. Also, I really like Creamsicles and their orange goodness. 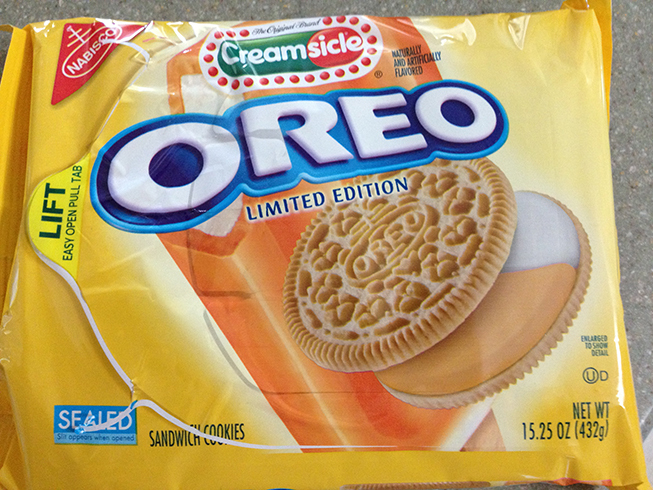 So when I saw this bag of Creamsicle flavored Oreos at the store last week, I had to buy them to try them. So what do they taste like? They taste like a 50/50 ice cream bar. Not exactly like one [that would be hard since the cookie is not ice cream], but it’s pretty close to that flavor. Like they were culled from the outside and inside of one of those awesome orange cream bars and then cooked into the creamy center of the Oreo cookie. I really like them and they don’t seem as sweet or sugary as a regular Oreo cookie. Of course the only negative to these cookies is that for a snack, two of them are 150 calories and with my current food/diet regimin I am doing, I can only enjoy 2 of them a day. Which means I need to show a lot of restraint, but as a positive bonus, it helps me ration them out and last that much longer. Until someone else in the house decides they like them, too. If you are an Oreo fan, head to your local grocery store to see if you can find these and give them a try. I highly recommend them. I LOVE Creamsicles! But I don’t even remember the last time I ate an Oreo. I just don’t keep that stuff in the house. I usually recreate the flavor with some orange sherbet and vanilla ice cream or I make a float with vanilla ice cream and orange soda. Hits the spot. Now if they sold this in a little pack of six or so, I’d be all over it! Oh now I like the orange soda and vanilla ice cream floats. Those are really good. Okay. I love OREOs. I love Creamsicle. But these just tasted like toxic waste to me and I absolutely hated them. 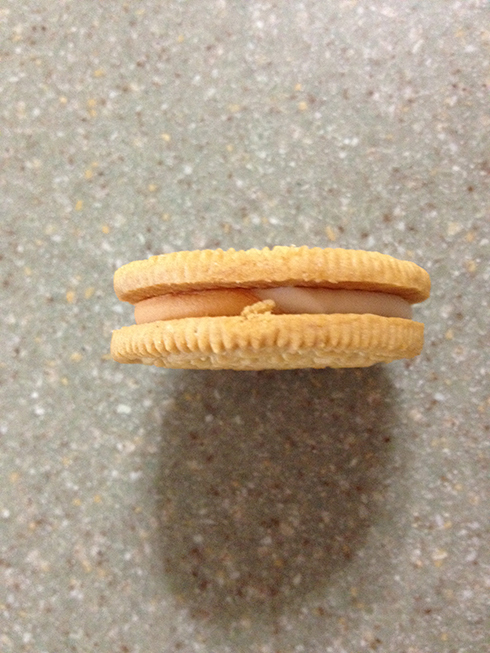 So I went and bought a bag of Golden OREOs and a box of Creamsicles and was all happy again! Your combination sounds like it was good. I could see how these could be not so tasty to others. I love creamsicles too! Orange is one of my favorite flavors. I don’t ration well, so I don’t buy this kind of stuff, but it sounds really good! I have not tried the Cookies n’ Cream ones yet. Nor have I tried the birthday cake ones, which sound like they should be really good. What an awesome Nanna. 4 more packages? That’s some Oreo cookie love right there. Those sound really, really good. I love those Orange Dream bars, too!